The Senator representing Osun Central constituency of Osun State at the National Assembly, Mr Olusola Adeyeye, has accused one of the airline operators in the country, Arik Air, of putting the lives of Nigerians at risk. “Aircrafts take off without being properly serviced or serviced on time and this is unfair to Nigerian citizens,” Mr Adeyeye lamented. In his remarks, the Senate President, Mr Bukola Saraki, who presided over the session, thanked the lawmaker for bringing the matter up for deliberation. Meanwhile, efforts by Business Post to get the reaction of Arik Air through its Head of Communications, Mr Adebanji Ola, on this matter were not successful as at press time. Arik Air, formerly a privately-owned firm, was established in 2006, but was taken over by the Nigerian government in 2017 through the Asset Management Corporation of Nigeria (AMCON) after it failed to repay its $429 million debts. In a recent report by ThisDay, Mr Ola admitted that the future of Arik Air could be threatened because of the present state of the airline. He was reported to have said Arik Air existed today and maintained existing workforce because of the intervention by AMCON, pointing out that if not for the intervention, Airk Air would have gone under in 2017. 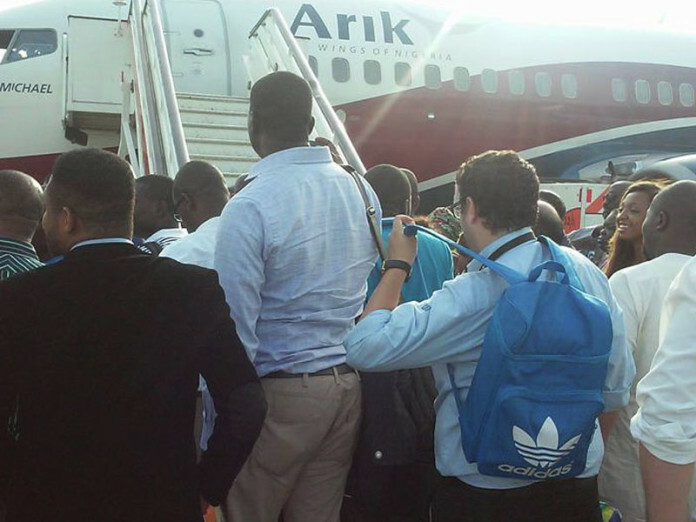 In recent times, Arik Air has been in the news for the wrong reasons, which is becoming very worrisome to some of its loyal customers.